For the last 25 years, VolksWorld magazine has been the number one commentator of the VW brand. If you’re looking to keep up to date with what’s happening with the VW brand and its iconic vehicle models, a VolksWorld magazine subscription is for you. 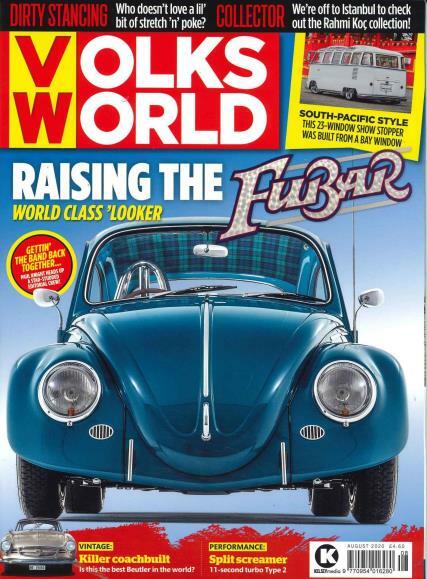 Renowned as the authoritative voice on VW, VolksWorld magazine provides excellent coverage of VW car shows, latest model news and advice on purchasing and maintaining your own VW. For the last 30 years, VolksWorld magazine has been the number one commentator of the VW brand. Consistently paying homage to VW’s wonderful history, VolksWorld magazine shows readers how to customise and modify retro or classic models so that they can hold their own next to the smooth and stylish VW of today. The technical advice of the ‘Practical VolksWorld’ section is mixed well with other regular features including ‘Readers’ Rides’, where VW owners can showcase their beloved vehicles as well as write in with any questions or suggestions they may have. A VolksWorld subscription also provides you with coverage of the annual VolksWorld Show – the largest indoor VW event in Europe. Put simply, you won’t find VW features as comprehensive and fascinating anywhere else. So if the sight of a Beetle or Campervan is really what gets your motor going, try a VolksWorld magazine subscription today.